Money Makeover | How to prioritize payments on student debt alongside other financial goals such as retirement savings was one concern for Louise Green. Paperwork problems with a program to repay that debt left her "more paranoid," she said. What Louise Green hoped would be a buoyant beginning for her teaching career was offset by an increasingly common worry – student debt. After working a couple of years as a substitute teacher, the 30-year-old Seattle native landed a full-time job last year as an elementary teacher with Seattle Public Schools. She earns about $5,150 a month before taxes and other withholding. Even if money were no object, Green would spend her time with kids. “I love discovering and exploring with children,” she said. Want some free financial planning? If you’d be interested in a financial makeover in exchange for having your story and photo published in The Seattle Times, please answer a few questions here. But Green was also preoccupied with paying off $67,000 that she borrowed to earn a master’s degree in teaching at Antioch University Seattle. The loans paid for tuition, fees and living expenses. After paying between $600 and $700 a month on the debt, Green applied for the public service loan forgiveness program through the U.S. Department of Education. The program forgives the outstanding balance on student loans if the borrower follows a 10-year, income-based repayment plan and works for a government agency or certain kinds of nonprofits. The paperwork was relentless and confusing. A year later, Green learned by happenstance that her monthly payments were not being applied to the loan forgiveness program after all. She eventually straightened it out, enrolled properly and currently pays $38 a month on the debt. Her payments will reset at a larger amount now that she is working full time. Student debt has soared since 2000, and 37 percent of adults under the age of 30 owed money on student loans in 2016, according to Pew Research. The debt load for graduate school is markedly higher than for undergraduate programs. The median graduate school debt in the first repayment year was $45,890 in 2014, a Brookings Institution analysis showed. The median debt in the first repayment year for undergraduates of “selective” universities was $26,491. A few months ago, Green was in a car with her mother behind the wheel. The first-year teacher, meanwhile, was talking with loan servicers on her cellphone. Green’s mother later logged onto Facebook and asked for tips about where her daughter could get good financial guidance. A family friend suggested The Seattle Times Money Makeover program, in which financial planners provide advice for free. Green applied. The Financial Planning Association of Puget Sound paired Green with Trish Howe, owner of Howe Financial Advisory in Seattle’s Fremont neighborhood. Green shops at Goodwill. She and her brother share an older, two-bedroom apartment in Seattle that rents for about $1,300 a month. She drives a 2001 Volvo that her father bought for $500. As a result, she had about $12,000 in a savings account and about $8,200 in a Roth individual retirement account when she met Howe. Green had also enrolled in the school district’s pension plan. But Howe saw that Green was preoccupied with her student loans and weighed down by a stress-inducing list of pressing life goals, such as establishing a career, owning a home and raising a family. Howe urged Green to focus on steps she could take now that would reduce her stress and set aside, for the time being, issues that don’t need immediate attention. Howe convinced Green that she was better off financially than she realized, especially for someone just starting a career. Next, Howe counseled Green about her student loans. “Turn away from regretful decisions that you’ve made in the past,” Howe said. “Turn and learn from them.” Howe recommended putting the pile of confusing loan documents into an envelope and filing it away for a year. In a fortuitous turn of events, this year the state Legislature passed and the governor signed a student loan bill of rights. One provision created an advocate office within the state Student Achievement Council that, among other things, would help borrowers apply for student-loan forgiveness. Howe urged Green to follow the formation of the office and use it if necessary. Then the talk turned to money. Howe advised Green to max out her contributions to her Roth IRA by pouring $5,500 a year into the account, the most allowed by someone her age. Green could get started by moving enough money from her savings account to contribute $5,500 to the IRA for the 2017 tax year. Then, beginning this year, she could increase her monthly IRA contribution to $458 from $24, and maintain that level for the foreseeable future. Howe pitched the Roth IRA as a way for Green to accumulate wealth that she could readily tap in the years ahead, such as for buying a home or paying off her student loans. Investors with Roth IRAs can withdraw their contributions – but not the earnings – at any time without paying taxes and penalties. Withdraws of earnings are subject to taxes and penalties, depending on the age of the investor and the duration of the account, among other things. As for Green’s savings account, Howe advised her to ask the bank about the account’s interest rate. If her money is earning less than 1 percent, Green should consider moving the money into a certificate of deposit. Interest rates are now as high as 2.1 percent on one-year CDs. Green said Howe asked her “a lot of tough-mom questions,” but the experience changed her perspective. She feels better about her circumstances and more in control. “Having a conversation with Trish has made me feel more hopeful and more empowered,” Green said. This story was updated to correct information about Green’s income. 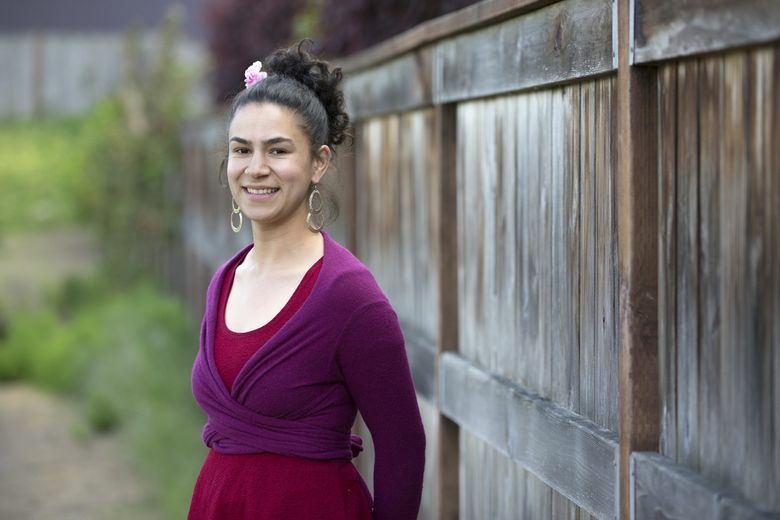 She earns about $5,150 a month before, not after, taxes and other withholding.